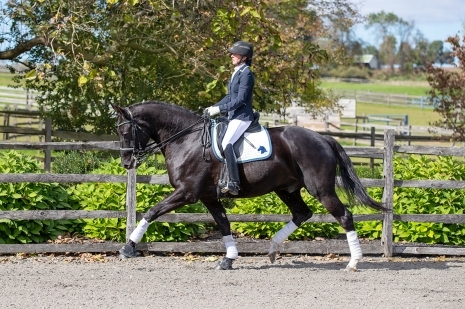 Ace is a confirmed PSG/I-1 schoolmaster ready to take his next Jr, YR or AA into the ring to win. An imported, 2005 Dutch gelding (Ferro x Kaiserstern), he is fun, safe, naturally forward and light in the hand, and changes, half passes, and extended trots are his favorite movements. Ace has shown PSG in Wellington, FL, with scores in the mid-60s and has a temperament that instills confidence in his riders. Prevetted with x-rays. Contact us for more information and to schedule an appointment.